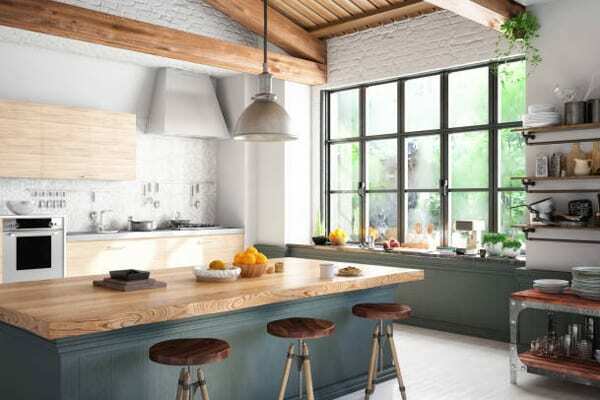 Kitchen designers unleashed new styles for 2019, revealing many bold and refreshing new takes on the way kitchens look and feel. 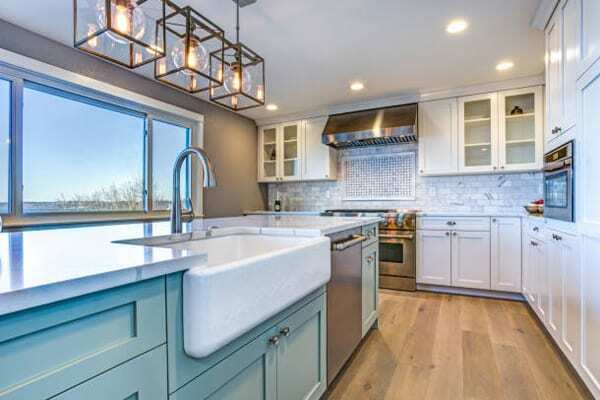 Here are the top kitchen trends for 2019 that homeowners are demanding and builders can’t create fast enough. Matte black is overwhelmingly the hottest trend for kitchens in 2019. It’s a complete reversal of the all-white kitchen that prevailed in recent years. In addition, the days of stainless-steel appliances have ended. Instead, gorgeous matte black models provide a sophisticated contrast to wood flooring and cabinets without darkening your kitchen too much. And some designers elegantly combine black with gold fixtures. 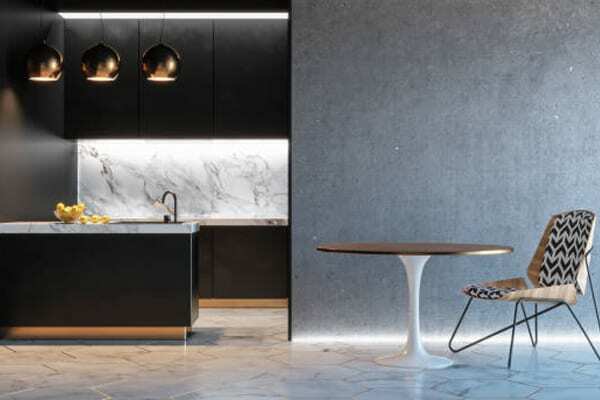 Concrete may not be the first thing you think of when you imagine the kitchen. However, designers are embracing hard finishes and minimalist lines. 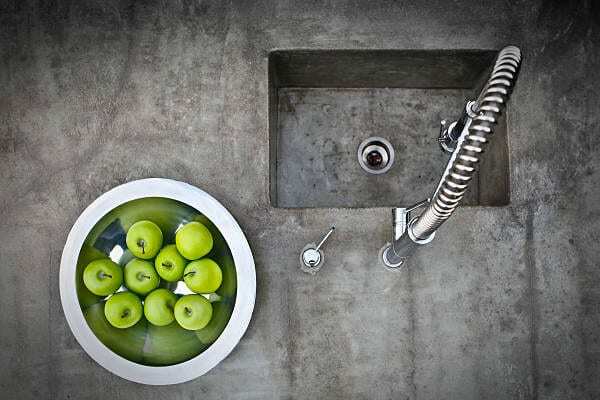 The look and feel of concrete lend itself well to the industrial designs so popular with younger buyers. Exposed concrete makes a bold statement in a kitchen. In addition, it contrasts very well with other natural elements. Concrete is famously durable and can outlast traditional surfaces like stone or wood. Finally, concrete is versatile and can be creatively molded and shaped. Designers use it for everything from countertops to kitchen cabinets. Upgrading to concrete can be a budget-friendly way to instantly create a modern industrial feel. 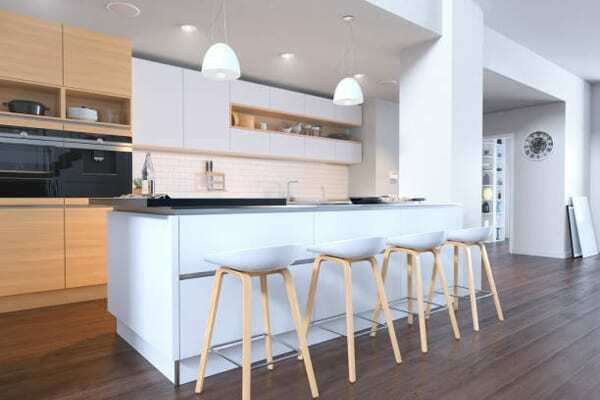 This growing minimalist style influences the materials used and what’s left exposed in the design of the kitchen. Homeowners want raw materials that stand out on their own. In response, designers and builders are incorporating surfaces like wood, stone, shiplap, and jute. Many prefer stone for its natural look beyond countertops. Designers use it for tall backsplashes and even accent walls. The popularity of raw materials also reflects the growing push for sustainable eco-friendly homes. Expect to see more natural materials with low environmental impact in future kitchen designs. Wide open kitchen plans with recessed lighting have been popular for years. Pendant lights can easily create dramatic changes in these layouts. Designers use pendants to define areas of the kitchen or anchor the dining area. Luxury developments add them to make bold statements and create conversation starters. It’s trendy to treat suspended lighting as a hanging work of art. Another reason for pendants’ growing popularity is their versatility, bringing lots of light to open-plan spaces and easily fitting any style. Expect to see plenty of mid-century modern and Italian designs in 2019. You might remember this flooring material from your childhood school hallways. That’s because it was extremely popular in the ’50s and ’60s in government institutions. 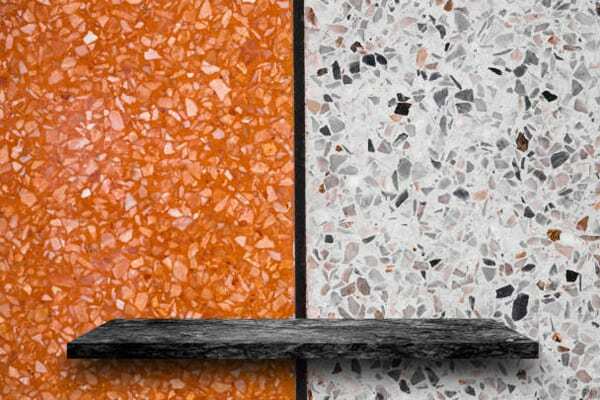 Terrazzo is making a comeback with the popularity of mid-century modern design. This versatile and durable material is perfect for adding some playfulness to a modern kitchen. Choose from many different materials like granite, quartz, or marble. Designers are taking advantage of terrazzo in creative ways beyond flooring. For example, as accent surfaces, wall facings and counters. The sleek, minimal kitchen free of fixtures and appliances is the solid trend. This means the big industrial hood vent is out. Designers deploy new technology to remove this element from the kitchen and create a seamless look above the oven. 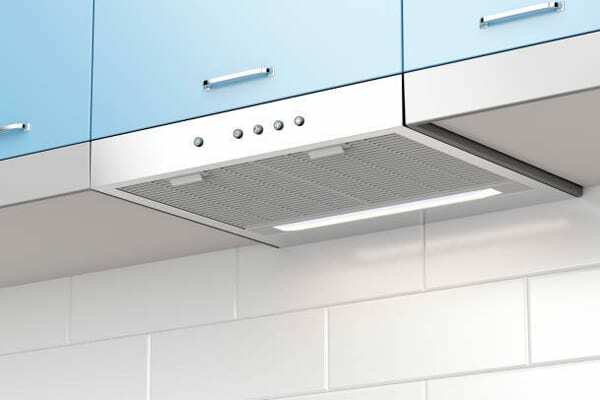 Kitchen ventilation can be concealed in a number of clever ways. You can even hide vents in the front of the kitchen cabinets. Making the oven hood disappear allows designers to emphasize other elements like the backsplash. Technology continues to find its way into our daily lives. And that includes our homes. The kitchen is ripe for upgrading; expect builders to install integrated appliances on a broad scale. Any technology that creates a clean and seamless look is now popular, and the new standard of luxury is to completely camouflage appliances. The laboratory effects of years past are officially out. You’ll see slim oven hoods that turn on automatically, along with induction cooktops. Digital technology will also bring specific customization tailored to the homeowner’s preferences, like WiFi-enabled coffee makers, and lights. The top kitchen trends for 2019 represent a significant departure from some old standards and a jump into new territory. 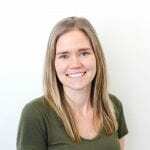 You may find this refreshing news if you’re buying or remodeling a home.